Just a few weeks after the official launch of Huawei Honor 3C 4G and Honor 3X Pro, Huawei announced today its new flagship to compete with the biggest names in the market. The new challenger is the Huawei Honor 6. During its presentation, the Chinese giant directly compared the new Huawei with the high end smartphones Samsung Galaxy S5 and the iPhone 5S, by making a reference to its specifications and built in quality. The Huawei’s new high-end smartphone is built on an aluminum alloy structure, which keeps the overall temperature of the phone 4-6 degrees Celsius cooler while at the same time it gives the user the (justified) feeling of a premium device. 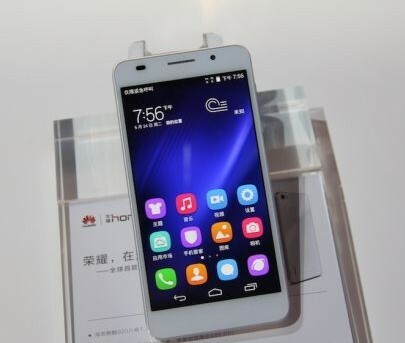 The new Huawei Honor 6 will be priced at approximately $320 for the 16 GB version and $370 for the 32 GB model. Official release will commence in China on July 1st 2014 with no further information regarding a global release.